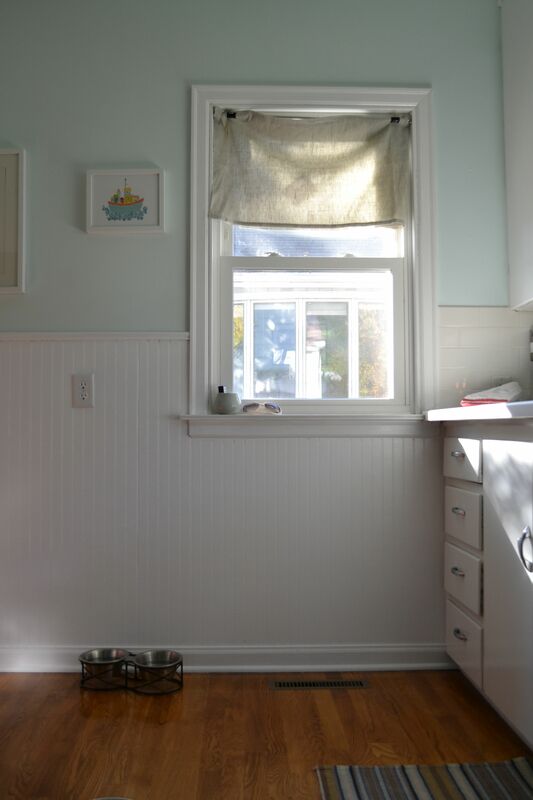 Remember back when I was planning this kitchen renovation and thinking about wainscoting? I had a piece of it leaning against the wall for many months while I stared at it and tried to work up the nerve to finally engage in this project. 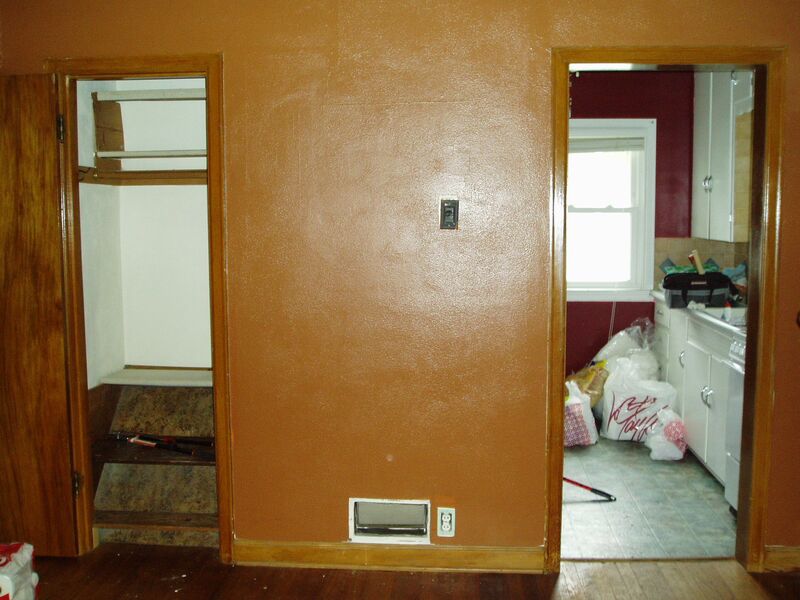 Bonus: you can see the old tile backsplash here, too. And a curtain that I never got around to hemming. 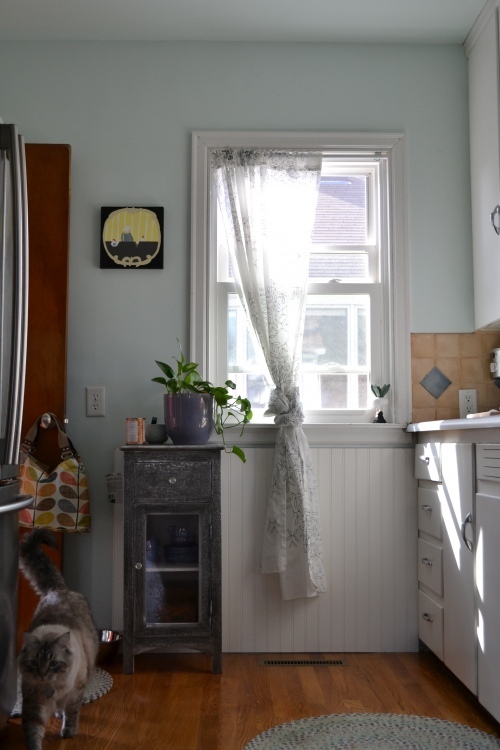 Keeping the old cabinets and working around their distinctly irregular measurements was the biggest challenge of this project—and the reason I avoided it for more than five years. I wanted to keep the cabinets, though, because they are so well fitted to the space (they were build on site back when the house came to be, c. 1940). Anything that I had the budget for would come out looking clunky and, well, new. I like new, to a certain extent, but as we know, I also like old things. The kitchen is kind of an unusual mix of vintage and modern—better than looking like everything came straight off the floor of Home Depot. 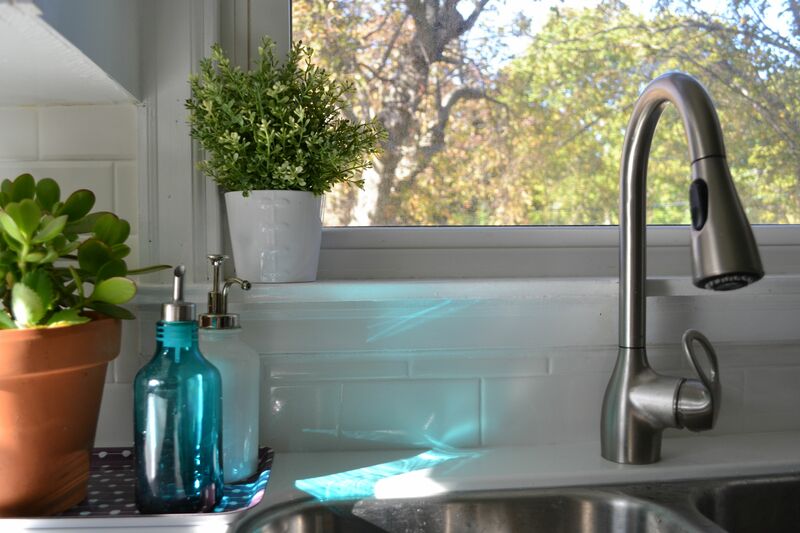 It’s kind of hard to believe, but the kitchen is actually sort of… done. The dishwasher swap stirred up some small issues that I have to fix, but other than that, it’s become a pretty place to cook. 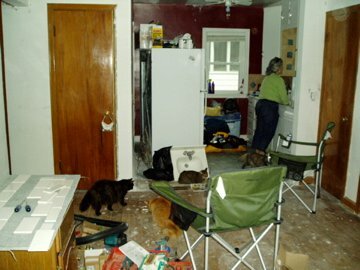 Here, for fun and/or horror, are some early picture of the kitchen. 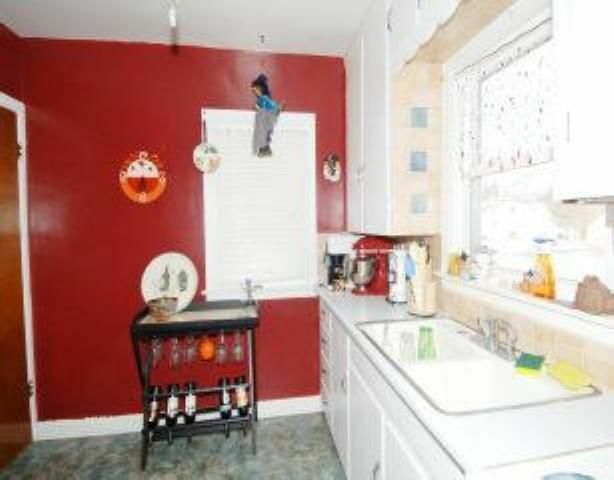 The image from the listing. Apparently, it looks its best here? The day I moved in…to the garage. This one leaves me speechless…it looked like this for most of the first summer. 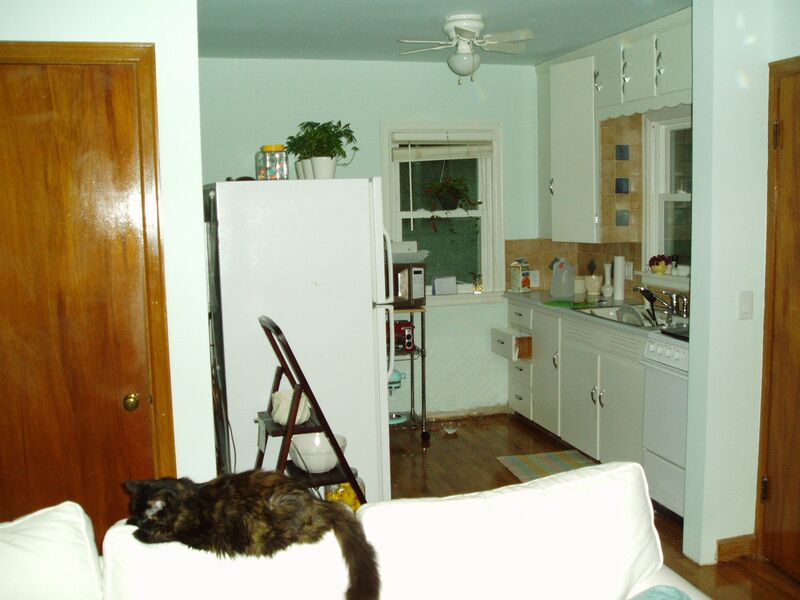 A kind of stasis during my first year of grad school—note the evil little Magic Chef stove in the spot now occupied by the dishwasher (the house didn’t have one until the end of this first year, when the stove died and I replaced it). Also note my beloved childhood kitty, who lived out the rest of her long life in this new house.